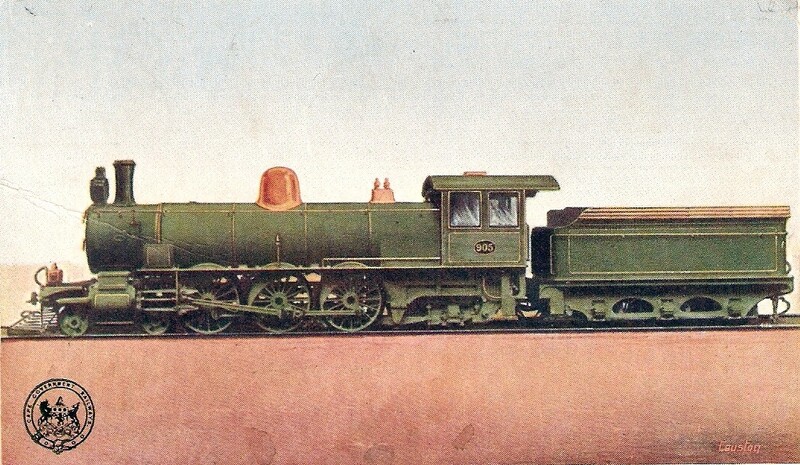 For a few years the Strand station had a plinthed locomotive as the image below proves. 16 April 1969 image taken at the Strand station by Lindsay Bridge. 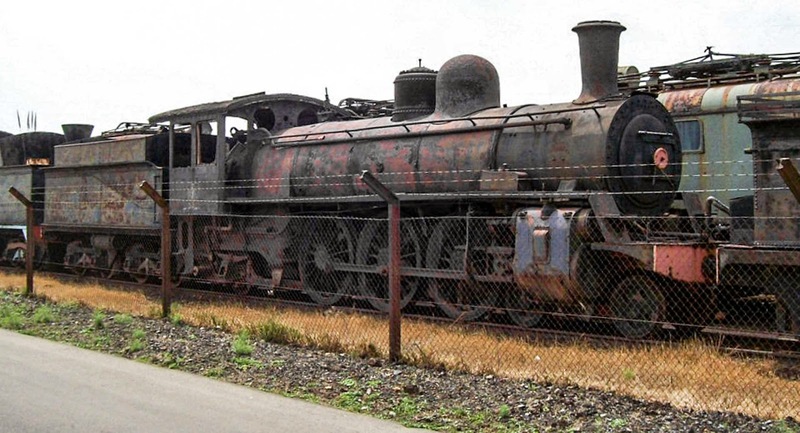 However, by 1994 the locomotive was stored for TRANSNET MUSEUM at the Millsite Shed at Krugersdorp. 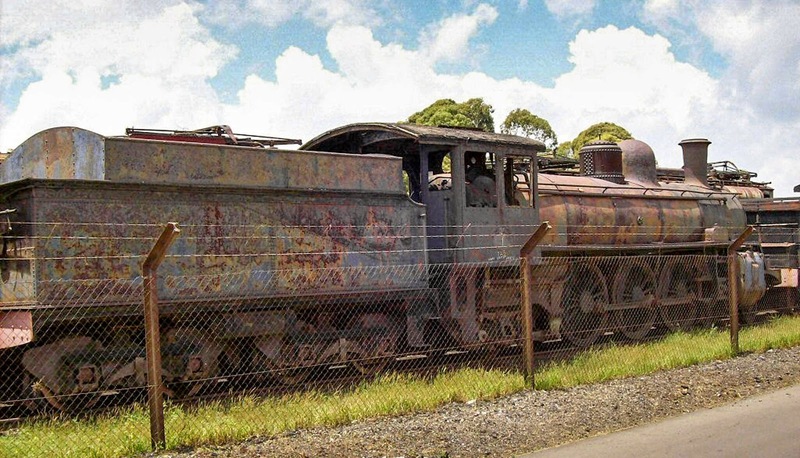 2009 image (c) Derek Walker - Class 5B no 723 at Krugersdorp Millsite Shed. 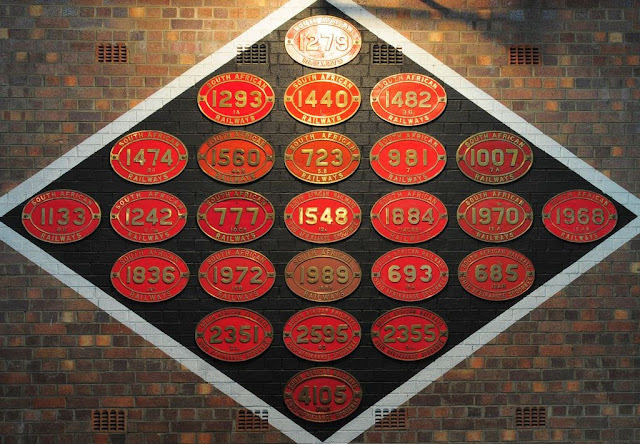 The Outeniqua Transport Museum in George has the "723" number on display. This postcard shows the locomotive when it was in service with the Cape Government Railway (CGR) as their 5th Class "Karoo" engine no 905. 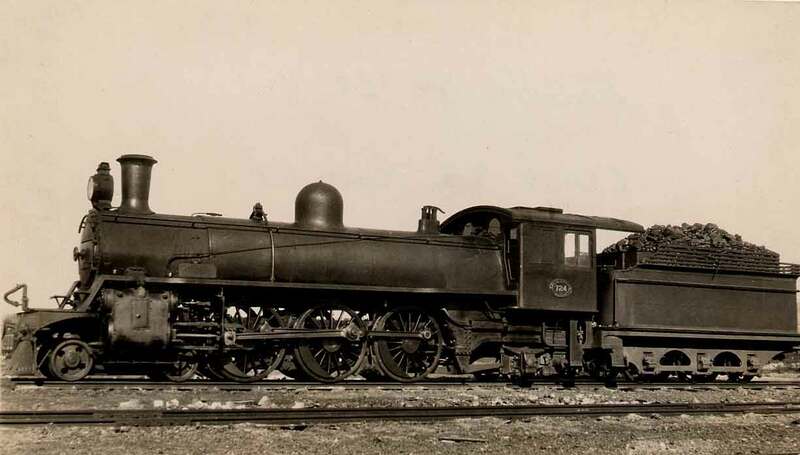 These locomotives were known as the "Karoos", having been designed by H.M. Beatty of the CGR for hauling passenger trains on the easier grades between Beaufort West and De Aar. During their later years service with the SAR this class became familiar sights on the Strand and Stellenbosch lines - and this explains why one of these engines got plinthed at Strand station.